Airside - proceed through Passport Control and turn left. The lounge is located adjacent to Gate 4. With private areas ideal for business meetings, wide sofas drenched in natural light and stylish tables in which to dine, this smart lounge offers the lot. 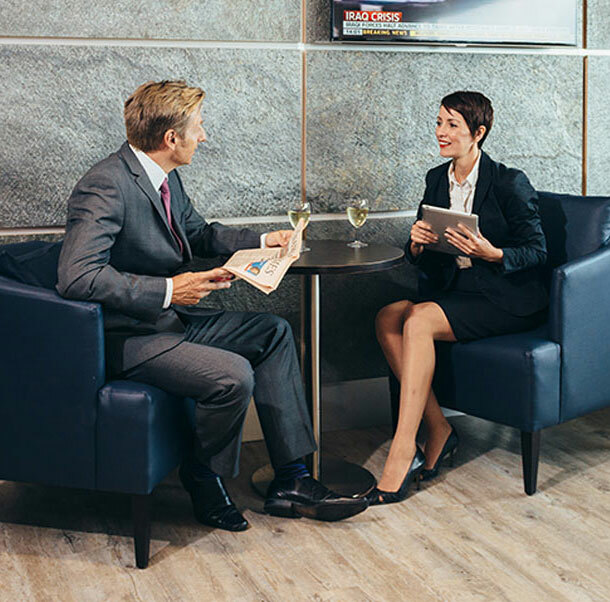 The amenities match its modern design too; be entertained by flat screen televisions, use the Wi-Fi to connect with friends, charge up your phone and tablet using the personal charging stations, all before you fly.